Is it odd to use financial jargon when discussing the benefits of the Stamina® InStride® Folding Cycle? Maybe so. Then again, your commitment to fit, healthy living is serious business. And Stamina believes the energy and sweat you spend working out may just be the most valuable investment you can make. 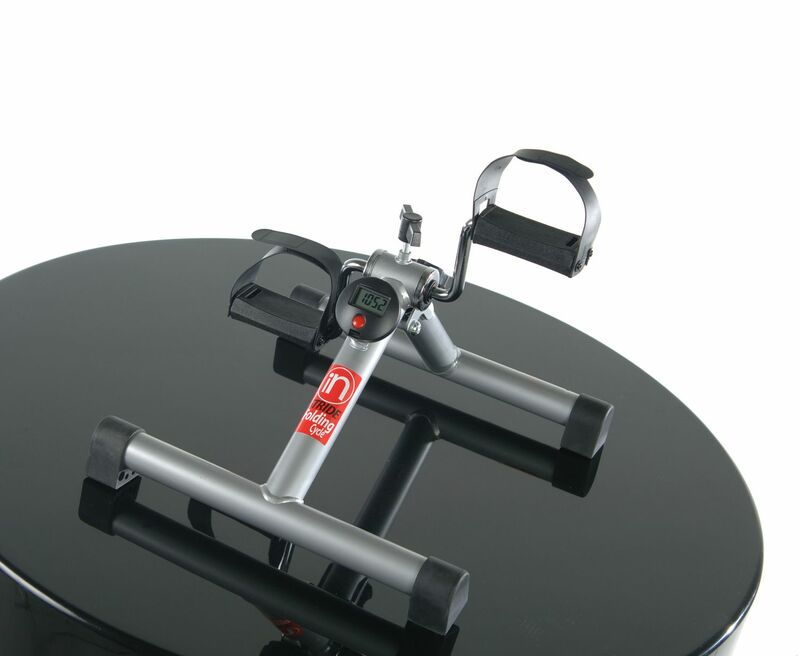 To maximize your ROI (return on investment), the InStride Folding Cycle is designed to strengthen your muscles while the aerobic exercise increases your metabolism to burn calories more efficiently. Lightweight and portable, the InStride Folding Cycle serves as your personal, fitness-focused travel companion. Break out the cycle at home, at the office, on vacation, or anywhere else life takes you. Then simply unfold, secure, and start pedaling your cycle to shed calories and tone your body while performing regular daily tasks. The InStride Folding Cycle reflects the fact that simplest designs generally stem from sophisticated engineering. 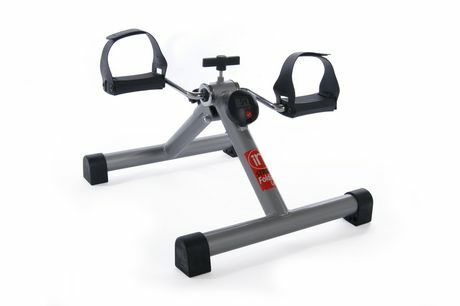 Developed as a fitness solution for all of us who are too busy to focus time and attention on complicated exercises, the InStride Folding Cycle is a cinch to use. 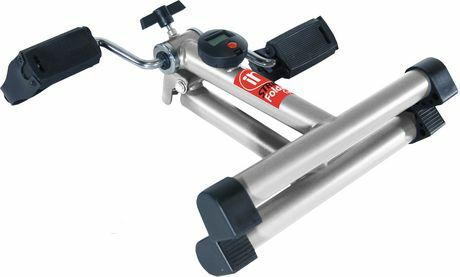 Sturdy rubber feet prevent the cycle from slipping, and pedal straps secure your feet to work your legs on both the upstroke and downstroke. 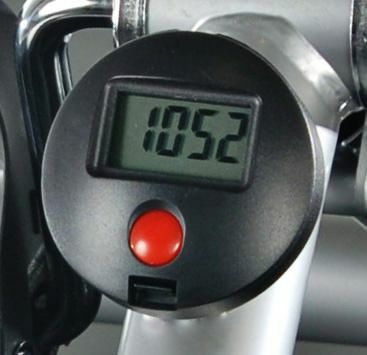 A quick turn of the tension control adjusts pedal resistance, and the battery-operated electronic monitor times your workout so you don't need to fumble with a stopwatch. 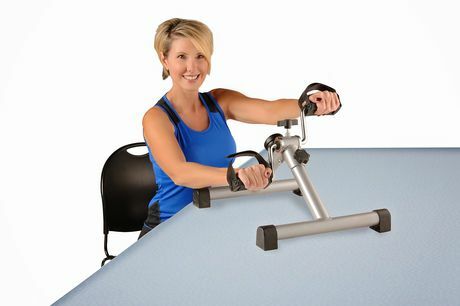 The InStride Folding Cycle can work either the lower or upper body with no conversion necessary. Simply place the cycle on the floor and pedal with your feet - always while seated - to strengthen your legs, lower body, and back. Or set the cycle on a table or desk and pedal with your hands to target your arms, shoulders, and back. The low-impact movements also help improve your cardiovascular health and maintain flexibility without causing stress to your joints. The InStride Folding Cycle is the exercise solution that fits effortlessly into your life and returns faster results.